Out of college for nearly 30 years, James Schultz says returning to South Texas College was the right choice as he looks ahead to the next stage of his career as a firefighter in McAllen. Currently an assistant fire chief with the McAllen Fire Department, James said he returned to STC when he took a required EMT class at STC’s Nursing and Allied Health campus in 2010. He began studying for his degree in fire science the following summer in 2011 after being out of school for more than 30 years. He received his degree in fire science from STC in May 2016 and then continued with his bachelor degree in Organizational Leadership, which he plans to receive this December. Graduating high school in San Antonio, James says he moved to the Valley in 1990 and was among the first attendees of STC when it opened in 1993. He became a volunteer firefighter with the City of Edinburg in 1991, and when McAllen began hiring, he became a paid firefighter in 1993. Now James says he works 8 a.m. to 5 p.m. every day, gets home in time for dinner with his family, and then gets to studying. 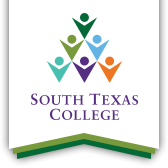 The Bachelor’s Degree in Organizational Leadership at STC is the first competency-based bachelor's degree from a Texas public institution that helps students develop vital skills for the workplace. The degree focuses on skills that will help prepare you for a position of leadership in business, government, non-profit, or educational organizations. Looking ahead, James said his goal is to become prepared to take over duties as fire chief once the current chief retires.